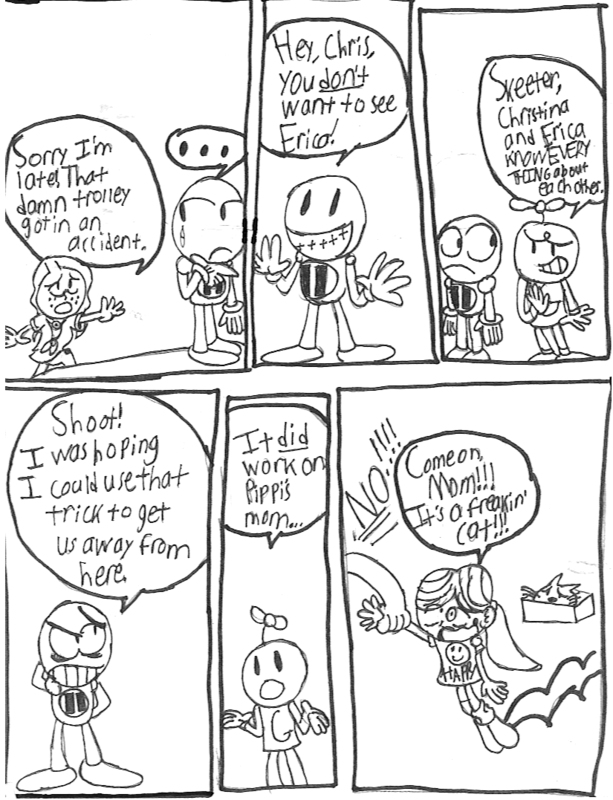 The current story arc started with this strip: Vacation. The eighth part of the Vacation arc. Christina finally shows up... Stupid trolleys... they almost sound like "troll!!" Oh well. Here's today's strip.